International Monetary Systems (OTCBB:INLM) has signed a definitive agreement to purchase the assets and client base of California Barter Exchange (CBX), a well-known trade exchange serving clients in Modesto, Fresno, and Stockton. Don Mardak, president and CEO of IMS, affirmed, "We are most pleased to announce a strategic acquisition which will enhance the bartering activities of our Continental Trade Exchange (CTE) members in Sonoma County, Sacramento, Brentwood, the East Bay area, Silicon Valley and the Central Coast regions of California." The 1,000 CBX members will complement IMS' operations, giving them a Northern California client base of approximately 3,000 clients, and a total CTE client base approaching 7,000. For more information: www.internationalmonetary.com. International Monetary Systems has enrolled in Investrend Research's unique professional analyst program, which facilitates independent financial coverage for shareholders and investors in companies that otherwise would have little or no analyst following. On March 22, IMS (OTCBB:INLM) advanced 17.65% on volume of 60,700, almost twice its average of 34,946, to close at $1.00. The 52-week high was $1.12. Years ago ITEX began offering co-op advertising opportunities to its membership. Given that most small businesses fall far short in this important endeavor needed to build and expand one's business, such advertising support, offering up to $16,250 in co-op funds, is a valuable member asset. Dates and location for the ITEX National Convention have been announced: May 24 through 27 at the Tradewinds Resort in St. Pete's Beach, Florida. A few weeks ago, some of you received my report (seen below) of the musical tribute - “Julie’s Scrapbook: A Musical Tribute to the Life of Julie Groenwald”. 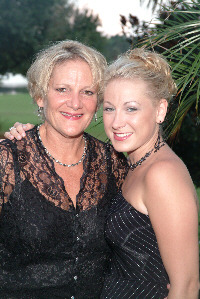 I am saddened to report that Julie Groenwald, Susan’s daughter, passed away last night, March 28th. An end to a short, but brave and painful battle with cancer. As a final tribute, the Groenwalds have announced the creation of “The Julie Groenwald Music is the Love of My Life Award”. In lieu of cards or flowers, they request contibutions to this award. The award will be given to a musical student whose career, like Julie’s, exemplifies professionalism and passion for music. Please contribute whatever amount you can so that Julie’s spirit will continue to give the gift of music and performance that she gave to so many during her life. Just respond to me via e-mail and I will be in touch with you (krista@irta.com). We will forward the donation to the Groenwald family in the name of the barter industry. European Union leaders pledged in Lisbon four years ago to turn the trade bloc into the world's most competitive economy by 2010. But bureaucracy and high taxes are still holding back economic growth and stifling entrepreneurs. Europe's $11 trillion economy has lagged behind that of the U.S. for 10 of the last 11 years, and the EU predicts it will do so for the next two. Taxes average 43% of wage income, compared with 30% in the United States. Spending on research and development is about two-thirds that of the U.S. and Japan. About 1 in 20 Europeans set up a business compared with 1 in 10 Americans. In setting up shop, it takes a European entrepreneur 45 days to collect all permits, while their U.S. counterparts need only four. The mergers and acquisitions (M&A) gap between Europe and the U.S. is as wide as ever. Bids on 2,000 European companies worth $180 billion have been announced in the last six months, lagging behind the U.S. figure of 3,350 deals valued at $250 billion. Major hotel chains are now addressing a problem which surfaced after they haphazardly built an Internet sales pipeline. In essence, they began doing business with third-party web sites in the late 1990s under deals that were too favorable to the web sites. 1. Hotel chains are removing perks when guests belonging to their incentive clubs book on sites other than their own. 2. To lure people away from sites such as Hotels.com and Expedia.com, several chains are offering incentives and discounts. The most common offer is a guaranteed lowest price at the brand site. Recent data shows this combination of tactics may be working. Of the 27 million rooms booked in 2003's fourth quarter, 39% occurred at hotel-owned sites, compared with 37% for the same period a year ago, according to an analysis by Thomas Weisel Partners. Steve Webster's Alliance Barter got an excellent testimonial in the local Democrat and Chronicle which interviewed Bob McJury, co-owner of TLF Graphics. In the article, McJury said his bartering efforts through Alliance not only provided him with access to 2,000 customers "we ordinarily wouldn't have called on, but it brought us $150,000 in new business." The U.S. tourism industry is making a recovery. Total 2003 sales climbed 3.5% to $722.1 billion, the highest since $737.2 billion in 2000, according to a Commerce Department report. Women's cable network Lifetime has acquired the exclusive cable rights to "Frasier," which will end its 11-year network run on NBC this season. Beating out bids from Turner Broadcasting, MTV Networks and Oxygen, Lifetime landed "Frasier" for about $600,000 per episode as well as a barter exchange that gives the program's distributor, Paramount Domestic Television, 90 seconds of ad time per day. The IPO (initial public offerings) market is off to its best start since 2000. So far this year there have been 32 IPOs of stock, up from just five during the same period last year. If you think the U.S. IP0 market is tough, take a look at Germany. Last week, the country was supposed to have its first IPO in nearly two years, but Germans will have to wait a bit longer to break the drought as the offering was canceled citing poor market conditions. Teletrade's evalues.net (www.evalues.net) processed trades totaling $57.7 million in 2003. A creative idea to boost its business has been offered by real-estate auction house Sheldon Good & Co. The Chicago-based firm has set up a $250 million fund for real estate sellers who want an advance on the properties they plan to auction off. Sellers are eligible for a minimum loan of $500,000 which is secured by their real estate. So far $40 million in such loans have been made, with another $100 million in the pipeline. China's giant consumer market continues to grow, as a recent report from General Motors shows. They reported earning more than $500 million, or about 40% of their worldwide automotive profit, last year in China...selling 400,000 cars and trucks to a rising class of Chinese with money in their pockets. GM's CEO Rick Wagoner, 51, says China may even emerge as a larger car market than the U.S. in his lifetime. In its continuing effort towards openness, China's Communist Party decreed constitutional protection this month for private property. And in 2006 the nation will open its financial system to full participation by foreign banks and investment houses. In 2000 50.9 million international visitors came to the U.S., a number that's dropped steadily since then to 40.2 million last year. The Travel Industry Association of America says foreign visitors will increase by about 5% this year, reaching 42.2 million. Construction, both commercial and residential, is nearly a $1 trillion-a-year industry, according to the Commerce Department. It's now a major component of gross domestic product—8.2% of GDP in 2003. PricewaterhouseCoopers lodging analyst Bjorn Hanson says the growth in the number of hotel rooms nationwide will lag behind demand significantly this year, as fewer new rooms come online than usual. The growth in demand will outpace supply by more than 2-to-1 in each of the five hotel segments, with the largest disparity in the upper-upscale category where demand will rise by 5.4% this year but supply will increase by 1.3%.